It's four more days until My Favorite Things February Release! Raccoon Cutie. And what a cutie he is! "The Kissing Hand" by Audrey Penn which became the inspiration for my project. called the Kissing Hand to reassure him of her love whenever he felt sad or lonely. before being assembled. Highlights were added to the eyes and nose with a pigment pen. A strip of grassy border was adhered to the card to ground the raccoon. sure what I was planning to use. A tiny heart on the paw finished off the card.. The images were stamped, colored with Copics, then cut with the matching Die-namics. A card base was prepared with patterned paper and a scalloped border panel. embossed sentiment was adhered below them. Clear sequins finished off the card. to leave a comment there to win a $75 prize! 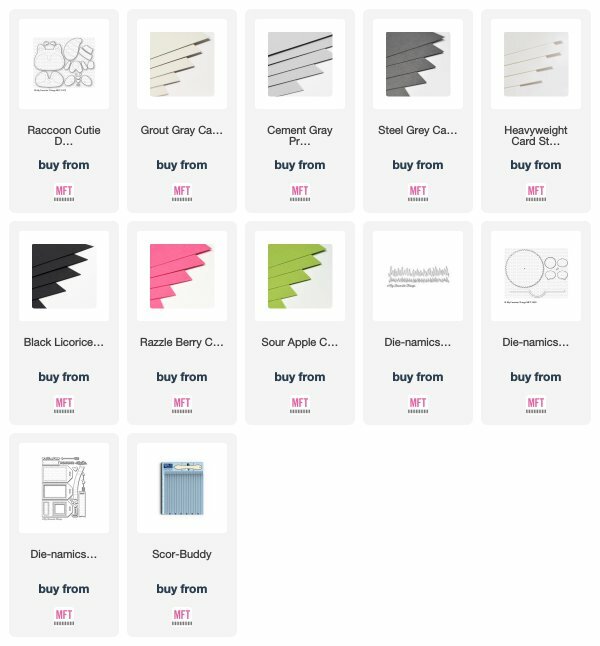 Awesome new stamps and dies! Awesome creations! 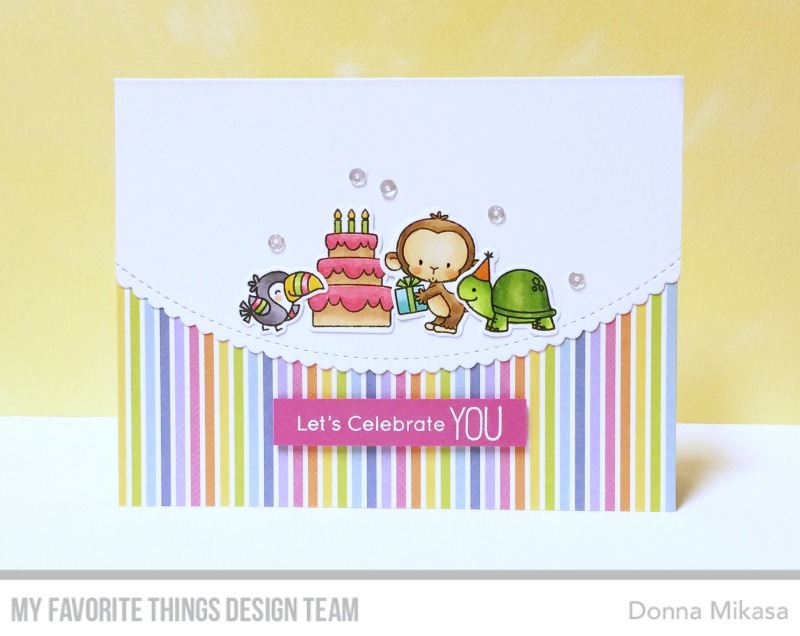 I especially love pretty striped critter card! Adorable!! 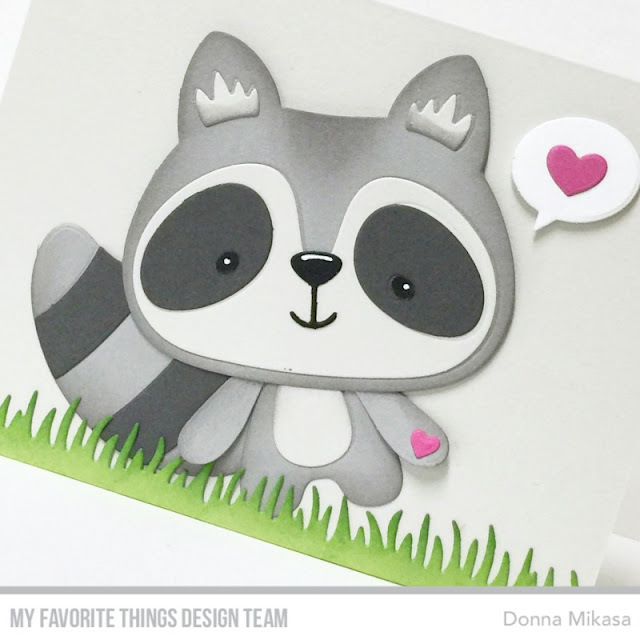 Love this little raccoon! THat raccoon sure is cute. Very sweet and cute cards. Love the adorable raccoon. Both cards are so sweet, Donna! Thanks for sharing the story of the Kissing Hand. I need it! :-) The raccoon is so adorable with the added highlights and shading. Love the colorful coloring of the second card. The sequins add fun movement and the striped pattern paper is perfect for the occasion. 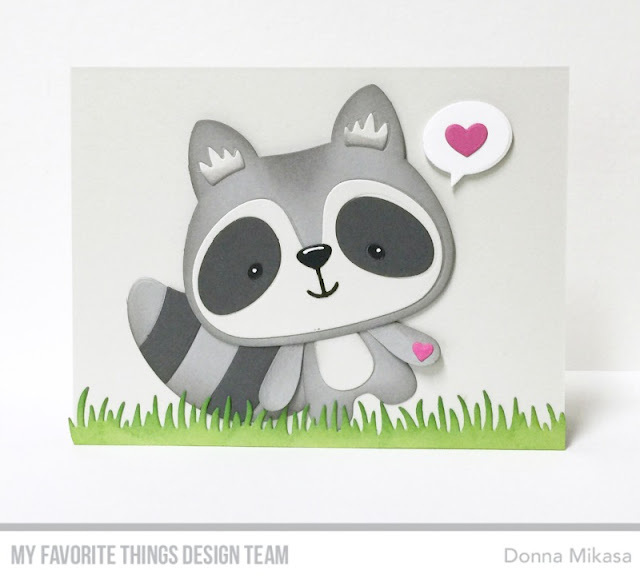 The raccoon makes a perfect Valentine ! The animals are totally wonderful in a row! Love your Kissing Hand story and your perfect Raccoon card! The little critters celebrating a birthday are so adorable too! I love the raccoon! he is adorable. 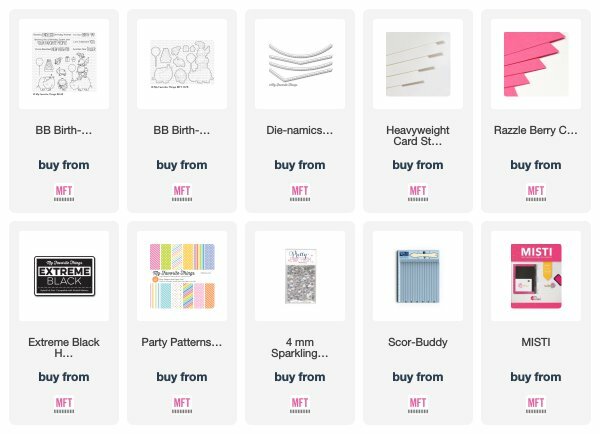 MFT February Birthday Project--You're How Old?